The best part of the Grammy Awards isn’t always who wins what. Sometimes it’s the performances and the acceptances speeches that really steal the show. That was the case for country and Americana music on Sunday night (Feb. 10) when the show aired live from the Staples Center in Los Angeles. 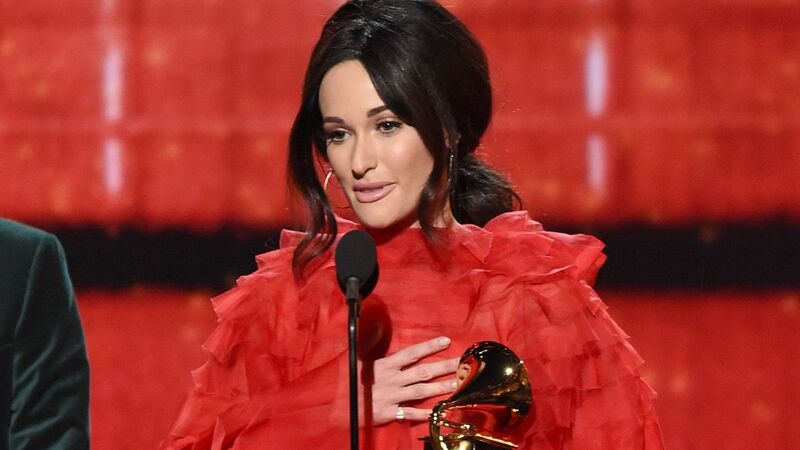 Kacey Musgraves — the country darling of the entire night — was one of the first country artists to perform on the show. She took the stage in an understated white gown, and sang her latest single “Rainbow” with only her piano player (and producer and songwriter) — Ian Fitchuk — backing her. Musgraves also took the lead in the tribute to Dolly Parton. She and Katy Perry first shared the stage for Parton’s “Here You Come Again” (1977). Parton joined them on the song she’s performed countless times. Then Miley Cyrus joined Parton — her godmother — for the oft-covered “Jolene” (1973). As that song ended, Maren Morris walked onstage to share vocals with Parton and Cyrus on “After the Gold Rush,” a Neil Young song that Parton had on the Trio II album she made with Linda Ronstadt and Emmylou Harris. Little Big Town then joined Parton on a new song, “Red Shoes,” from the Dumplin’ soundtrack. And everyone — Parton, Musgraves, Perry, Cyrus, Morris and Little Big Town — came together for “9 to 5” from 1980 to close out the memorable medley. Dan + Shay, who’d won the Grammy for best country duo/group performance for their “Tequila” earlier in the day, had a chance to share the winning ballad with the world on the coveted stage. With Dan Smyers on guitar, Shay Mooney on piano, and a six-piece string section, the duo represented the genre flawlessly. Brandi Carlile performed her Grammy-winning “The Joke” near the end of the show, and the powerful you-do-you anthem was met with standing ovations from nearly everyone in nearly every genre, from Maren Morris to Post Malone. Throughout the televised broadcast and the non-televised Premiere Ceremony that took place before the show started, country and Americana artists collected armfuls of awards. And you could hear the sincerity, emotion and humility in their voices when they went onstage to accept the gilded gramophone. Dan + Shay’s first Grammy win was awarded before the show, and after thanking a long list of collaborators and supporters, Mooney admitted he was in shock. “I can’t believe this just happened. I’m a little bit blown away. And I might be about to pass out. This is an incredible honor,” he said. Smyers added that he could feel the love from his Music City brethren. “That’s the beautiful thing about Nashville and about country music: we’re all a family, we all root for each other,” he said. Brandi Carlile won three Grammys during the show before the show, and she had many people to thank. During one trip up to the stage, for best American roots song for “The Joke,” Carlile shared a story from her past that shed light on why this particular brand of music matters so much to her. “Americana music is the island of the misfit toys,” Carlile explained. “I am such a misfit. It is this music that has shaped my life and made me who I am. And even given me my family. I came out of the closet at 15 years old, when I was in high school. And I can assure you that I was never invited to any parties, and never got to attend a dance. See the complete list of country, folk and Americana winners here. Alison makes her living loving country music. She’s based in Chicago, but she’s always leaving her heart in Nashville.